The Haftorah is read from the book of Shmuel (Samuel) 11:14-12:22 by both Ashkenazim & Sephardim. The connection between this week's Parasha and the Haftorah: Samuel was an example of what the leader of Israel should be. He pulled everyone together to serve Hashem. On the other hand, Korach was a Levite who led the rebellion in the wilderness against Moses. The earth opened up and swallowed Korach and the other leaders of the rebellion. The reason for Korach's destruction was that his vision was to have each and every person in the nation of Israel be his or her own G-d. Needless to say Korach's vision was diametrically opposed to Samuel's belief in only one G-d. The Storyline of this week's Haftorah: Saul, who is just about to become Israel's first King, commands the nation of Israel to go up to the City of Gilgal where he is to be anointed. Afterwards the Nation of Israel celebrates Saul's coronation by giving peace offerings to Hashem. Samuel, Israel's last Judge then declares that he has fulfilled all the requests that the people of Israel have made of him, with emphasis on the recent appointment of Israel's first King. Now it has come time for Samuel to pass away. 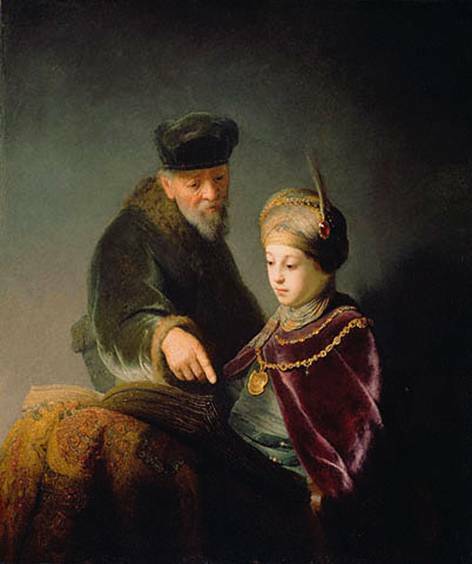 Samuel, who was only 52 at the time, claims that he has aged and feels very old, possibly as a result of his son's misdeeds. To pass away with a clear conscience, Samuel asks in front of Hashem and the King of Israel if there was anybody who could testify against him regarding any misdeeds he may have done. For example, had he taken any animals as payment for the work he has done for the community? Samuel continues to ask "Was there anyone whom he had cheated or was oppressed by him?" "Did anyone ever bribe him? Come forward!" The people of Israel responded, "You have been honest in all your dealings with us." Haftorahman's Lesson of the week: You cannot change what has already been done. What you can do, is to make a conscious decision, that from this point on before deciding to transgress a commandment and sin, you ask yourself once more "Is it worth it"? Once someone gets into a mess, they usually start bargaining with Hashem "Please get me out of this mess I'll do anything if you help me Hashem." This simplest solution is this: don't get yourself into trouble in the first place. The Prophet Shmuel didn't have anything to hide, he was able to say, "I have clear conscience, I have behaved well and I have nothing to fear. I pray that all of us can learn from Shmuel and let us think before we act in order to keep out of spiritual trouble. 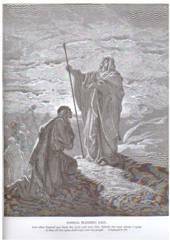 Samuel's Biography: The meaning of Shmuel is "The Lord heard her." Samuel was the 16th and the last of the Shoftim (Judges). Eli the Kohen Gadol (High Priest) raised him in the Holy Temple. His book covers 120 years. He was a prophet whose string of prophetic experiences lasted about 100 years, from 1070 - 970 B.C.E during which Hashem spoke to him directly. Samuel was strong and unwavering. Hannah was his mother. Samuel was 52 years old at the time of this Haftorah. He was known as "The Reluctant King maker." He also appointed King David as Saul's successor to the throne over the Nation of Israel. Samuel was born in Ramat-Tsofim in the hill country of the tribe of Ephraim. He wrote his own book. Samuel the prophet is buried in Jerusalem. Famous phrases: Hannah's Song of Prayer "Vatitpalel Chanah” thanking Hashem for enabling her to give birth to her son Samuel. Read from 1 Samuel 2:1-10. During the morning prayers after putting on Teffilin. 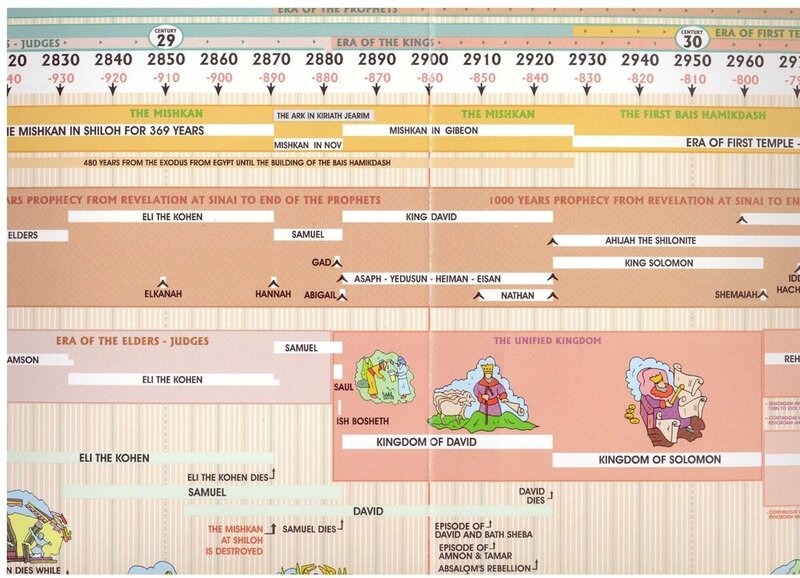 Timeline: This story: took place 2900 years ago in the Jewish year 2830. 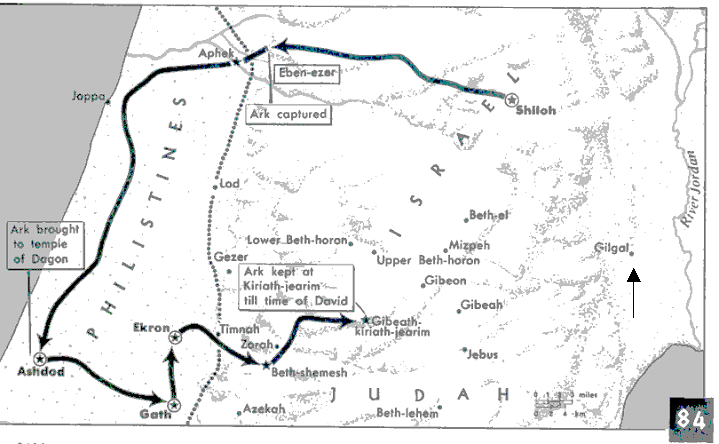 Map: The story took place in Shiloh a city in Ephraim, notable as the center of worship in the time of the Judges. It housed the Ark of the Covenant until its capture by the Philistines in the time of Samuel.